Manufacturer of a wide range of products which include fancy hooks and iron hat and coat hook. As one of the certified organization we are engaged in offering an elegant range of Fancy Hooks to our valued clients. 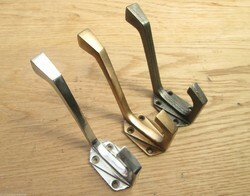 Fabricated from high grade metals these Fancy Hooks are sturdy in construction and assure long service life. Our products are widely used in various hotels, restaurants, bars and other allied places. These Fancy Hooks are very elegant in look and are high in demand. Usage Clothes, hat hanger, hanging display hook. Owing to the presence of our expert team members we are able to offer our clients a wide array of Iron Hat & Coat Hooks. 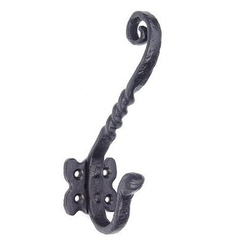 Simple and attractive looks of these Iron Hat & Coat Hooks easily catches the eyes of viewers. These are ideal to hang the light weighted goods. These are available in market in various shapes, sizes and dimensions. We offer these Iron Hat & Coat Hooks at most economic rate. Looking for Iron Hooks ?